I saw this advertised on airsoftworld facebook feed as being new. So i thought id ask peoples opinions? I like it. Its not something I would go straight out and buy, but i think if i had a play with one and it turned out ok i could see myself getting one. I think it's ugly but in an attractive way, the same kinda way that Apache Gunships and A10 Warthogs, maybe even also L85s are, but I can't decide if I personally like it. I do like seeing new guns come out that aren't just another variation of the M4 though. A lot of the time you just see American, Russian and German made weapons. This thing is the Swedish Army's standard issue rifle, I think, so it's good to see we're finally taking a step away from the norm. 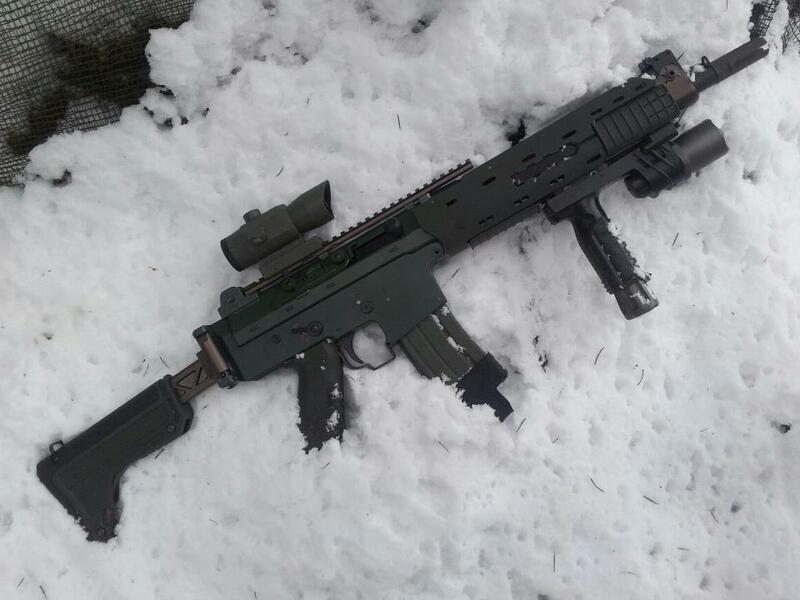 Another thing, this gun was made by G&G after someone started a petition, asking for an airsoft version of one. So respect goes out to G&G for listening to their consumers. I might start a petition for an L129A1... Haha. Its as uglier than my arse crack. However its g&g and bound to be rare so will be a good (albeit ugly) buy. Plus looks a bit too ugly for my liking. Well I'm Tandy's mate and I'm very impressed with the out of the box performance of the GK5C. 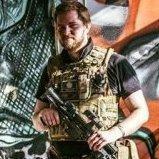 When I went to Pro-Airsoft it was to buy the FNC, I've had a hankering for one for some time and after owning a G&G FN2000 my heart was set on another G&G. Once I got there and looked at the various models of the FNC I went for the GK5C, it feels so right and the specifications of the gun are very good as all G&G Top Tech guns are. In the field the weight is not a real issue, I'm a big lad, I might not move as fast as the other players but I get there in the end. Used it for two days skurmishing and it's faultless. The last game was in the snow, there was a minor hop issue but just put that down to the cold, have changed the hop rubber for a Madbull one. I was recommended to use a 7.4v numchuck Li-po, it was not man enough, I tried it on 9.9v LiFe and it was spot on, unfortunately I couldn't get one so I've tried it with 11.1v 1300mAh numchuck Li-po which fits in the hand guard snuggly, I tend to pull the front retaining pin and remove the hand guard completely to fit it, it's relatively quick compared with some airsoft guns, the rate of fire is a little quick with this battery, switch contacts might start to burn out, will most probably fit a Mosfet. The only gripe about the gun was the barrel retaining nut was loose and there's a tiny bit of play in the front hand guard, but saying that the overall performance and quality of the build is epic. It's the best gun, straight out of the box, that I've had so far! I do actually like it. Would I go out and buy one? Probably not, but like Ed mentioned props to G&G for listening to their customers. Signs of a quality brand. Managed to find a LiFePO4 battery, manufactured by Racing Battery 9.9v 1300mAh No LF95541, fits OK in the GK5 grip with a bit of jiggling.